Swaim Furniture At Z Furniture available through Z Modern Furniture Store In Alexandria Virginia. White Glove delivery available in Northern Virginia, Washington DC & Maryland. Z Furniture is an authorized dealer of Swaim Furniture products. Here is what Swaim Furniture says about itself. 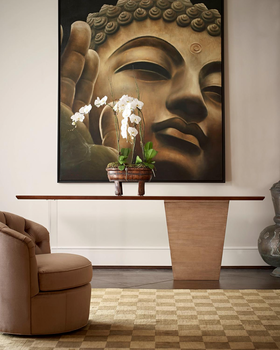 The finest of contemporary and transitional furniture... Swaim continues handcrafting furniture as they have done since 1945 in High Point, North Carolina. Using only the finest materials available, the extensive selection provides unlimited possibilities. Unique fabrics and dramatic surface materials add depth and resilient beauty to each piece. Swaim has become renowned for unique custom capabilities providing exclusive designs for each individual. We will be launching a new site. Please check back soon!